My parents and I were recently talking about ID theft and shredding over dinner. 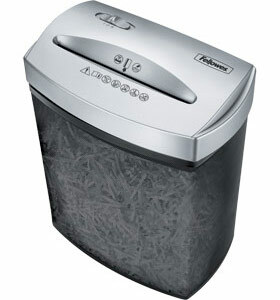 My father’s company purchased a Cross-cut Office Shredder from ShreddingMachines.co.uk to shred all sensitive information on site. This sensitive information includes corporate information such as invoices and pre-printed company letter paper but also the personnel files of his employees. The actual answer left me stunned. They got another company to shred all of her documents FOR FREE! They put all of the documents that need to be shredded into bags and then these are left in a room for the company to collect. The company would arrive every Friday to collect the bags and take them away with them. I asked why the company didn’t charge any money for this service and was told that it was because they make their money from selling the paper. I asked how she knew that the paper had been shredded and she very proudly told me that they received a certificate through the post a few weeks later confirming that the paper had been shredded! I could not believe what I was hearing. Sensitive information is left for over a week in bags marked “to be shredded” and are then collected by a company who makes money from the contents of these bags. 1. Imagine someone broke into the property overnight and saw these bags. It wouldn’t take a genius to realise that bags marked “to be shredded” contained sensitive and potentially valuable information. 2. What is to stop the company who collects these bags from selling them to someone else and then providing you with a false certificate? That is not to say that this particular company acts in this way. I have no idea of their name and they may be the most ethical company in the World. However why take the chance? If they could collect the paper and get $5,000 for the recycled value or sell the information for $20,000 then unfortunately there are some members of society that would choose the latter. Do you know what happens at your company? In the UK companies must comply to the Data Protection Act. The important part is the 7th Principal that states that “Appropriate technical and organizational measures shall be taken against unauthorized or unlawful processing of personal data and against accidental loss or destruction of or damage to personal data”. This is clearly not the case if your information is taken off site. In the US there is no equivalent legislation, however companies are encouraged to self regulate this to ensure that data does not fall into the wrong hands. This has hopefully made you think about what your company’s shredding policy is. IT IS OKAY TO ASK!! It is your personal information that could be at risk and it is your identity that could be stolen so you are allowed to know what the process is. All companies should have a shredding policy in place. If they don’t then why don’t you put yourself in charge of creating one? If your Company has their information shredded off-site then show them this article and see if you can get them to change how they do things. The golden rule applies in this case as it does with most things in life. If something sounds too good to be true then it usually is! I just got done reading a blog post called Is Santa A Victim of Identity Theft, and I had to share it with you. The author makes a good point. This time of year you see people dressed as Santa every where . . . one person’s identity replicated over and over and then put out into the masses. In some cases it is easy to see that it is an impostor, but in some cases you cannot really tell from first glance. And then to add to it there are places that are selling all of the “supplies” so that even more people can assume this identity. So how do you stop it? Do you go after the person who it using the false identity? Do you go after the people selling the identity? The same thing holds true with actual cases of identity theft, and that is part of the reason that it is a growing problem. Your own shopping compulsions versus a limited budget isn’t the only threat during the holiday shopping season. Use of your credit cards can really increase during this time of year. Without thinking you could be falling into habits that put your entire financial persona in jeopardy. 1. Be assertive. Don’t be afraid to disagree, say no, or ask questions. If you are in a shop and the clerk want to take your plastic into the back room, speak up. You shouldn’t let that little piece of plastic out of your sight. If you have to keep other people waiting do so. They also know you are in a rush too. Fraudsters use crowds to mask their efforts and human emotions to force their efforts. 2. Watch where you swipe. ATMs are extreme risky during the holidays. Fraudsters use a device called a skimmer to grab account numbers and PINs from a single card swipe. The skimmer can be placed on top of or within the original reader, thereby intercepting the digits or it can be placed in a separate location on the ATM in hopes a customer accidentally swipes there instead. If you need cash, the best practice is to avoid mall ATMs and go inside your bank to get the funds. 3. Avoid giving. At lease right then and there. Any charity that wants your info and donation right then and there should be avoided. Don’t listen to the pleas. Any time you are going to give money away, there should be some research on the organization and where your money is going to actually go. The last thing you want to do is get surprised because you claimed a “fake” charitable donation on your taxes. 5. Beware of your surroundings & destroy everything. The two go hand in hand. Shoulder surfing and dumpster diving are still threats. People around you at the mall can probably heard you opening that new line of credit to cover your holiday expenses. Protect vital information from wandering eyes and ears. Write it down instead of verbally exchanging it. Afterwards take the slip with you and destroy it. Dumpster diving is still the easiest way for a low tech criminal to get hands on your personal info and steal your identity. Destroy/shred all these documents, especially those pre-approved lines of credit apps that come in the mail. Follow these rules, and hopefully you will not become one of the 10 million who fall victim to identity theft every year. Also, remember less is more. Don’t leave the house with more cards or information than you absolutely need. It’s very important to watch your statements year-round, but this time of year you will be doing more spending than usual. So it stands to reason that more attention should be paid. By Jon Ryan of ProtectIdentity.com, a blog hoping to spread awareness and provide identity theft protection tips. I think that it is wonderful to see a company that is doing something to help protect people get awarded and recognized for the things they are doing. That is why I was happy to see this press release. TEMPE, Ariz.–(BUSINESS WIRE)–Inc. magazine today ranked LifeLock (www.lifelock.com), an industry leader in proactive identity theft protection, eighth on its 29th Annual Inc. 500 List, an exclusive ranking of the nation’s fastest-growing private companies. In addition, LifeLock is recognized as No. 1 in the Inc. 500’s Security category. The list represents the most comprehensive look at the most important segment of the economy—America’s independent-minded entrepreneurs. Companies such as Microsoft, Visa, Zappos, Go Daddy, Under Armour, Jamba Juice, American Apparel, Oracle and hundreds of other powerhouses gained early exposure as members of the Inc. 500. The 2010 Inc. 500 measures revenue growth from 2006 through 2009; LifeLock’s growth was more than 11,474 percent. To qualify, companies must have been founded and generating revenue by the first week of 2006, and therefore able to show four full calendar years of sales. Additionally, they had to be U.S. based, privately held, for profit and independent—not subsidiaries or divisions of other companies—as of December 31, 2009. The minimum revenue required for 2006 was $100,000; the minimum for 2009 was $2 million. Of the top 10 ranked companies, LifeLock’s 2009 revenue ranked third with $131.4 million. In the 29-year history of the Inc. 500 list, there have been only two other Arizona companies ranked higher than LifeLock. In 1992, Insight Direct was ranked fifth, and in 1983, Forever Living Products was ranked sixth. The Go Daddy Group also had a ranking of eighth in 2004. According to a study released August 12, 2010, by ID Analytics, a leader in consumer risk management, more than 20 million Americans have multiple Social Security numbers (SSNs) associated with their name in commercial records. The research shows that SSNs may not uniquely identify an individual, and organizations can expose themselves and their customers to risk if they solely rely on the SSN to verify an individual. Proactive identity theft protection can help combat the crime and protect the good name of consumers whose personal information could already be readily available to criminals. LifeLock works relentlessly to help protect its members from identity theft before it happens. Just the other day I did a blog about how children are becoming the victims of Identity Theft, and now today I find another email on this topic in my email box from the Identity Theft Resource Center. Years ago, the Identity Theft Resource Center envisioned a simple solution to this problem. It is called the Minors 17-10 Database and ITRC has been talking with various government entities and legislators about this concept since July 2005. With the growing popularity of so-called “credit protection numbers”, “credit privacy numbers (CPN)”, and now “secondary credit numbers” being sold online, this issue has become more urgent. These dormant Social Security numbers, being sold as CPNs, frequently were issued to children. The crime, identity theft, most likely will not be discovered until the teen reaches adulthood. I am sure that we will here more on this topic.